This is the lip butter I won in Revlon’s Sweet Boutique giveaway that they ran on Facebook before Christmas. 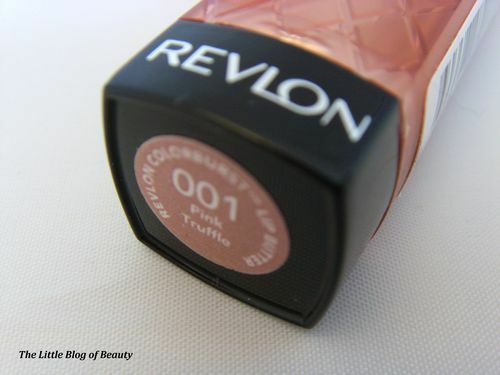 This was the second time Revlon had run this giveaway (I didn’t win one the first time) and hopefully they may decide to run this again in the future. To be completely honest when I first opened this I was disappointed with the shade I received because the bullet is quite a dark brown colour which I just didn’t like the look of. However when I actually got round to trying this out I was pleasantly surprised and now really like this. 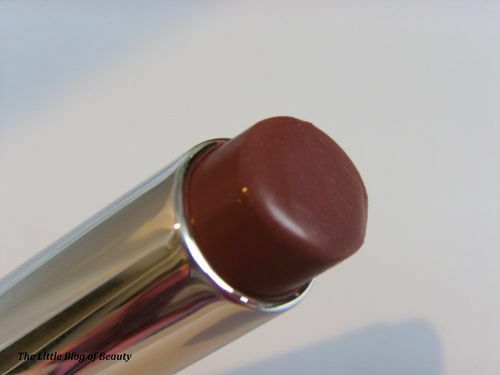 Although the bullet is quite dark, once applied this is a sheer pinky brown colour which is quite natural looking. 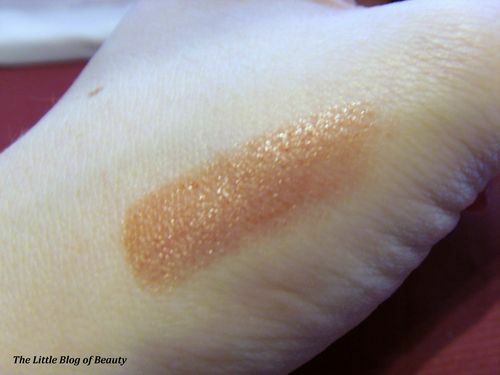 Although this is sheer it is still a reasonably dark shade once applied so you don’t need to build this up very much to get a good level of colour on your lips. As is intended with the lip butter range (these are coloured balms rather than lipsticks) this is really moisturising and has a lovely shine to it. This doesn’t last that long but they are not really supposed to, you re-apply as and when required like you would a lip balm. 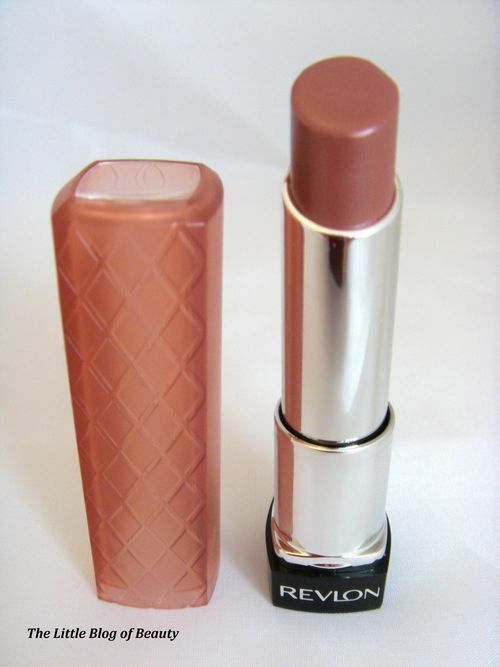 Each lip butter has a different colour cover which corresponds with the shade inside. This means you can see at a glance what shade you are picking up without having to open it or check the bottom of the tube for the name. The end is also clear so you can actually see the bullet through the top of the case. The case is quite unusual looking and if you had several different shades these would look pretty lined up next to each other (is it just me who lines products up in shade order?). The only problem I have had with my lip butter is that for some reason the bullet catches quite badly on the case most of the way round. As you can see in the picture I end up with a build up of the lip butter around the edge. When wound down fully you can see that the highest point of the bullet is not in line with the highest point of the case so I think mine is not quite in straight. This does not cause too much of a problem it can just be slightly messy when this builds up. Has anybody else had this problem with any of their lip butters? I am now a lip butter fan and will definately be picking up some more shades. However as Revlon will be launching four new fab sounding shades in the summer (Watermelon, Juicy Papaya, Sorbet and Pink lemonade) I may hold my horses until I have checked out these new additions. 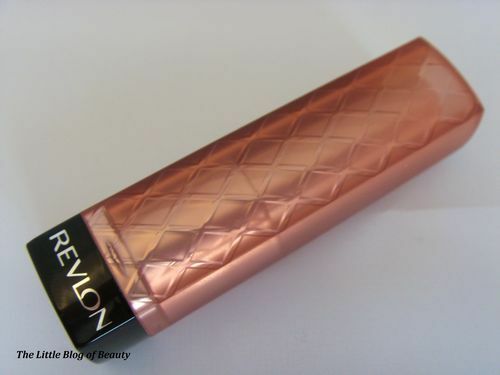 Revlon lip butters cost £7.99 and are available from Boots (Boots are currently offering 3 for 2 on selected Revlon, which does include lip butters), Superdrug and any other retailers which have a Revlon display.